Russian news outlets could last week proudly show the pictures of russian submarines diving to the ocean floor under the north pole. The pictures are not from the North pole at all, but from the Hollywood movie "Titanic"
Thursday the news agency Reuters admitted that the video they sent out was misleading and incorrect. Reuters bought the video images from the Russian TV channel RTR, and distributed them to their customers with the information that they covered the dive at the north pole. "Location information of the videos are incorrect" says Reuters to FNB. The images instead shows a dive done by mini subs in the Atlantic ocean while looking for the Titanic. 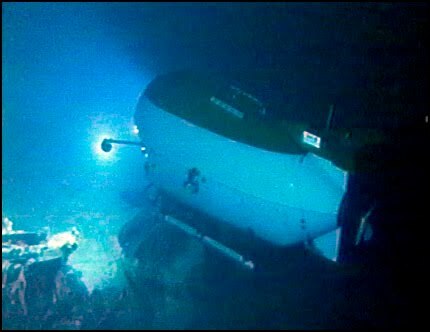 Hollywod producer James Cameron used the same type mini sub the russians used on the North Pole, when he made the movie "Titanic" in 1997. It was the Finnish paper Ilta-Sanomat that first reported the fraud, and the newspaper got the image specialist Hannu Vahanen at University of Tammerfors to review the images from Prussian TV. Vahanen confirms he is sure the images are from the movie "Titanic".